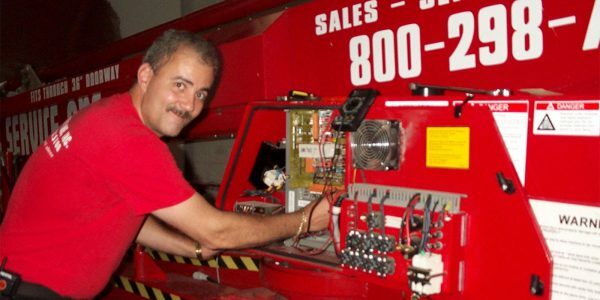 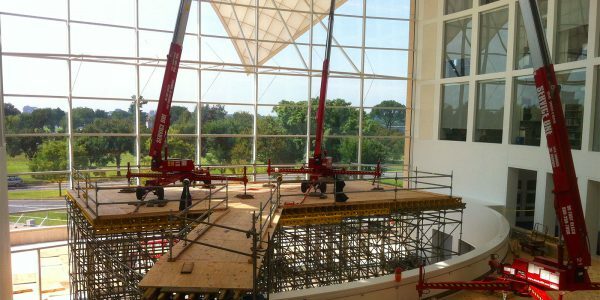 Service One Inc. has installed the Denka, Reachmaster and other Atrium Lifts in hundreds of facilities for a variety of purposes throughout the United States. 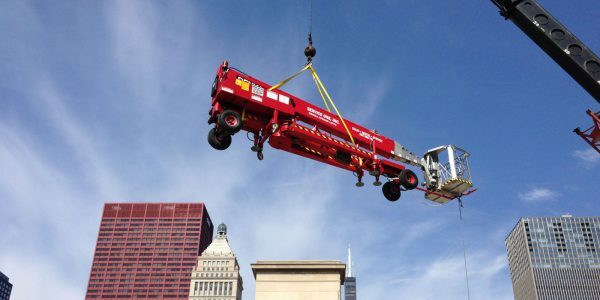 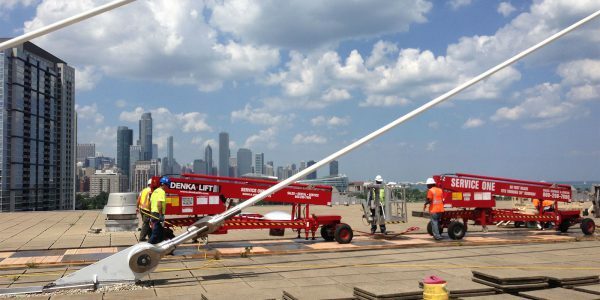 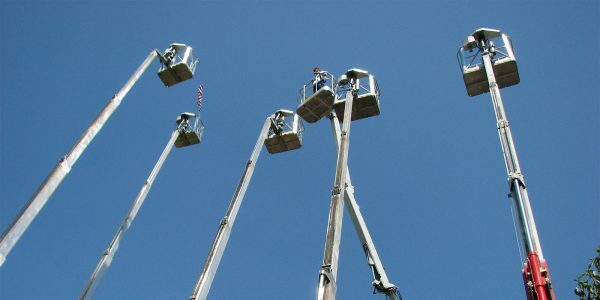 Since the Denka is the lightest, most flexible boom lift in its height range, it has been successfully hoisted, towed, ramped and rolled into position for use in a wide variety of unique applications, including roofs and temporary scaffolding dance floors that are engineered for the load. 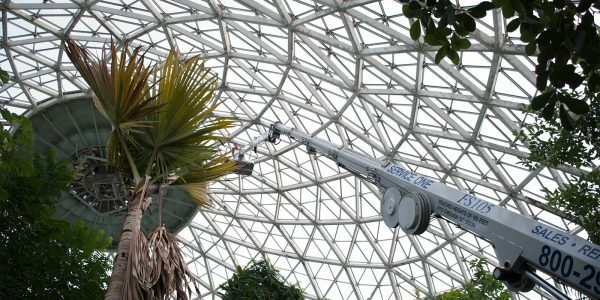 Our narrow Track mounted boom lifts have been used to navigate more challenging terrain such as stairs, water parks, outdoor courtyards, and landscaped areas where berms and swales don’t allow traditional lifts to navigate. 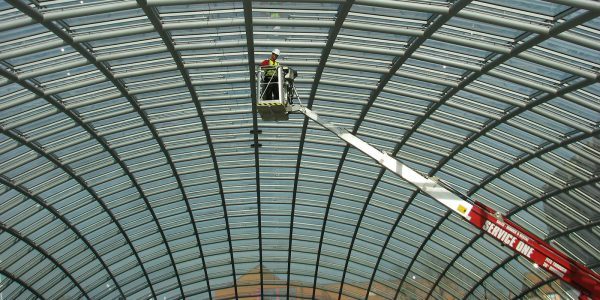 Please contact us for a free consultation on your application.